The diet that is all the rage now is the keto diet and you’ve probably heard more than you originally cared to about it by now. At this point, you’re starting to get curious, what with all these remarkable results being displayed. Does it really work? What is ketosis? Is it healthy to put your body through that, whatever it is? Let us help. 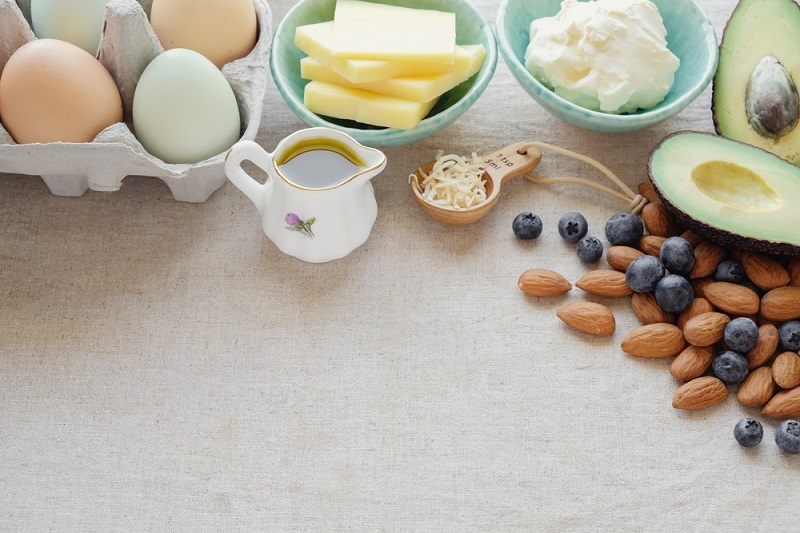 In this article, we’ll walk you through the basics of how the diet works and explain what the keto diet is and the health benefits it can offer you. We plan to answer all your pressing questions about this diet and pacify your curiosity.Let’s now explore what this diet is and if it is worth adopting. Let’s begin. The simple answer to this question is yes, it does really work, but that’s not a satisfying answer; we know your curiosity needs more to satiate it. The keto diet involves eating a very small amount of carbohydrates (about five to ten percent of your daily intake), an average amount of protein (approximately twenty to twenty-five percent of your daily nutritional intake), and a high amount of fats (around seventy to eighty percent of your daily food intake). This forces your body into a state of ketosis, which just means that your body is starved of carbohydrates. The health community don’t all agree on an exact amount of carbs to eat, but the Keto diet avoids too many. Here’s where people tend to get the misconception that it’s not safe. We get it; those words sound scary. The truth is it’s completely healthy. All that happens once your body has adapted to ketosis is it goes from burning glucose for energy to burning fat for energy. This helps you to lose weight, have more energy, can improve your skin, and can even improve your sleep. The keto diet is known to not only do the things we listed above, but also lower your risk of several serious diseases, such as heart diseases, Alzheimer’s, diabetes, and lower your risk of having a stroke. It’s been proven to help minimize the negative effects of diabetes and epilepsy, as well. Ketosis sounds scary and due to the fact that it is technically the state the body goes in when starving, people jump to conclusions about the diet. The truth is that this diet is completely healthy. Let’s dispel some of the myths. Ketosis is the state your body goes in when you don’t have sufficient glucose to supply energy. Your body shifts to burning fats that have been stored and creates an accumulation of ketones which are acids. By going into ketosis, your body can feel less hungry, keep muscle, and gain more energy. Why would people put themselves through it? Beyond the obvious reason of to lose weight, there’s a number of health benefits this diet can offer beyond just those mentioned above. People with diabetes have seen great results with this diet, as have children with epilepsy as it helps improve both conditions. Some doctors may put people at high risk of heart disease on the keto diet to help reduce their risk. Because ketosis is a normal metabolic function of the body, it’s not unhealthy. However, parts of it can be unhealthy. For instance, if you have high levels of ketones, which are created from being in ketosis, it can become highly dangerous to your health. You can check your ketone levels with strips, a breath meter, or blood tests. If you ignore your ketone levels and they get to high, you’ll reach a stage of ketoacidosis which can cause you to go into a coma or even kill you. Question: Should you try this diet? There are a lot of factors to consider before you decide if this diet is right for you. If you have certain health conditions, for example, it could be too risky for you to participate in. However, the results of this diet do speak for themselves. If you’re unsure if you’re a likely candidate to try this diet, consult with your doctor. You’d be surprised just how many foods are allowed on this diet; it’s not hard to make the change at all. The big change involves checking your ketone levels to make sure you’re maintaining excellent health. This diet is unbelievably easy to stick to, compared to others on the market, but you have to stick to it. When you first go into ketosis, you may find yourself lethargic or grumpy; this will pass. Once your body has settled in to ketosis, you’ll experience more energy, better sleep, and even clearer thinking. It’s crucial, though, that you don’t give up when you start to experience the small period of negative effects. As long as you push through it, you’ll start seeing the great results those who have already tried this diet are raving about. If you decide this diet is right for you, it can have some tremendous health benefits. You can lessen your risk of several serious conditions, lessen the effects of epilepsy and diabetes, and so much more. This diet has definitely changed a lot of lives in a highly positive way. If it’s right for you and you think you can stick to it, we say go for it; what do you have to lose? Other than the weight, that is. It seems like everyone is talking about this crazy new diet, the keto diet. While the results tend to speak for themselves, mention of ketosis and starving your body of carbohydrates, reasonably, raises a few eyebrows. We hope we’ve helped you to sift through all the information out there about this diet and helped to dispel some of the myths surrounding it. If you would like to find more information about this diet, recipes, or tips to sticking with it when the going gets tough, check out https://www.tasteaholics.com, one of the best sources for all things keto diet related. What Does Telemedicine Mean for the Future of Affordable Healthcare?